Insilico, the latest startup to join the Skolkovo Foundation’s biomed cluster, aims to apply artificial intelligence to extend human productive longevity and transform the pharmaceutical industry. 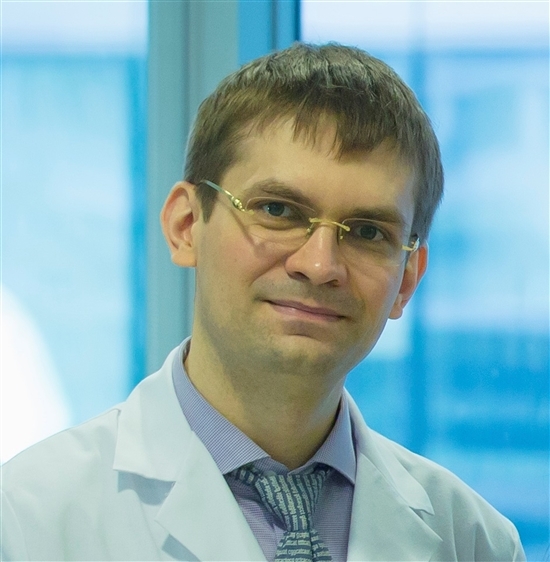 Alex Zhavoronkov, who founded the U.S. company Insilico Medicine and its Skolkovo daughter Insilico, was born in Riga, Latvia, and studied programming and business in Canada before focusing on bioinformatics. In this column written for Sk.ru, Zhavoronkov explains what the economic consequences of aging are, and the role of AI in making use of research devoted to longevity. The Insilico team at work in their laboratory. Photo provided by A. Zhavoronkov. Besides altruistic reasons for extending productive longevity, there is strong economic motivation. In 2013, my book, “The Ageless Generation: How advances in biomedicine will transform the global economy” was published by Palgrave Macmillan and was followed by a series of research papers showing that humanity has two choices: either extend productive longevity in developed countries and embark on a course of unprecedented economic growth, or wait until marginal increases in non-productive longevity drive the economies into collapse and result in economic and political instability. During the 20th century, increases in welfare coupled with many biomedical advances allowed life expectancies in major developed countries to double. In the late 20th century, however, these countries and their inhabitants started spending significantly more than the economies could afford, constantly running into budget deficits, betting on future economic growth and borrowing from future generations. While technological progress has allowed for higher productivity, many countries are on the brink of economic collapse. If we look at the U.S., its national debt is roughly 18 trillion dollars, with a life expectancy of around 79 years, which continues to increase. But even with this life expectancy, estimates of the net present value of future fiscal deficits range from $60-$300 trillion. Alex Zhavoronkov, founder of new Skolkovo resident Insilico. Photo from personal collection of A. Zhavoronkov. If life expectancy rises without significant increases in productive longevity and changes in policy, the estimates of these liabilities may be even greater. These liabilities are not sustainable and are already putting negative pressure on the U.S. dollar, which is backed only by reputation and the relative instability of other currencies. And since the U.S. dollar has become the de facto single global currency and one of the greatest sources of export of the U.S., the economies of other developed and developing countries are highly dependent on economic growth in the U.S.
Paradoxically, by contributing to increases in productive longevity, Russia, China and other geopolitical rivals of the U.S. can sustain economic stability not only in their own countries, but even more so in the U.S. The possibility of economic collapse and the urgent need for global economic growth is one of the reasons I started looking for the most rapid approach to extending human longevity. As a hobby, I run a resource called the International Aging Research Portfolio (IARP). We monitor about one trillion dollars in biomedical grant funding over the past 25 years in all biomedicine. Together with a team of fellow scientists, we monitor biomedical progress at the point where it does not even get to research publications. And if you look at the trends in funding, it started in the ’90s with just a few billions of dollars a year and now it is in the hundreds of billions. China is spending over $300 billion on biomedical research and infrastructure in the current five-year period. One of the benefits of government-funded research is that research results have to be published, and other researchers can use the data obtained from spending hundreds of billions of dollars on research. At Aging Portfolio we realized that many areas of science like cancer, regenerative medicine, Alzheimer’s and Parkinson’s research greatly contribute to the body of knowledge in aging research, and it is possible to aggregate and work with this data to make major advances in biogerontology. But to work with this huge volume of data, we need artificial intelligence. That is why my team decided to focus on bioinformatics and artificial intelligence as the main area of research, instead of focusing on just one theory of aging or longevity. It is much more interesting to work on thousands of molecules than on just one and to be able to get into almost any area of research when it matures. Advances in artificial intelligence such as image recognition, autonomous transport and robotics are rapidly transforming many areas of our daily lives. In 2015, deep learning systems surpassed human accuracy in image recognition and recently demonstrated the ability to intelligently describe images and even generate images from text. However, the propagation of this technology in biomedicine has been very slow due to a lack of comprehensive and high-quality data, regulatory barriers and the general inertia of the healthcare industry. Insilico Medicine, a company launched at the Emerging Technology Centers at the campus of the Johns Hopkins University in Baltimore in March 2014, is one of the main companies driving innovation in deep learning for drug discovery and biomarker development. Insilico Ltd, a company started by Insilico Medicine in Russia, has successfully applied for Skolkovo resident status and is locating a large part of its operations in Moscow and St. Petersburg. About 80 percent of our staff is located in Russia, and Skolkovo status makes seamless operation possible and comes with many benefits. In the U.S. and Europe, top talent in deep learning is scarce and fluid. But in Russia there are many young, top-notch mathematicians with innovative minds and ideas and they are more interested in solving the problem than constantly looking for a new job. The Insilico Medicine team gathered around their cryobank. Photo provided by A. Zhavoronkov. This also means that the customers and our ideas are safer here than in other areas of the world. Our goal is to extend the healthy and productive longevity of the population. But unlike some of our competitors, we are not trying to get as much investment or grants as possible, but are rather trying to first prove that the business model works and it is possible to sustain the team, even in tumultuous times. Over the next two years, we are planning to revolutionize the pharmaceutical industry by launching new drugs and nutraceuticals and performing many pre-clinical studies much quicker than in traditional pharma or biotech. We envision a world in which people will be able to undergo personalized preventative and therapeutic regimens in the comfort of their home. We work on transformative ideas and don’t want to settle for marginal improvements. "I have no doubt that within the next five years, we will have the ability to significantly increase both human lifespan and health span." Insilico Medicine has two business models: services and drug discovery. The services division helps the company generate revenue, experience and reputation, but internally the company is developing over 800 small molecules targeting a broad range of conditions including cancer, CNS pathologies, metabolic diseases and even aging. The company regularly publishes its intermediate results, and since 2014, the company’s scientists have published over 45 papers in peer-reviewed journals. Some of the recent announcements by Insilico include a partnership with Asia Genomics, a leader in personalized genomics-driven health solutions in Singapore; an exclusive partnership to develop nutraceuticals with Life Extension in the U.S.; and completion of an artificial intelligence system to analyse human tissues called Embryonic.AI. The company has also signed an agreement with Nazarbayev University in Kazakhstan to develop biomarkers of aging and is helping shape the national productive longevity and health span initiative. The faces behind Insilico's research. Photo provided by A. Zhavoronkov. We have already developed a range of aging biomarkers and a list of geroprotective interventions. Some of these interventions will become available on the market within this year or early next year. I have no doubt that within the next five years, we will have the ability to significantly increase both human lifespan and health span. However, in order to increase productive longevity in major developed countries and get the economic dividend from these increases, there needs to be a cultural and psychological change. The real problem is that people do not yet feel these advances coming and are afraid of planning for significantly longer lifespans or giving themselves false hopes. I recently did a survey of pension fund managers, and it looks like very few of them want to live longer or even to consider including advances in biomedicine into the models defining their mortality tables. There is a real threat of a major economic collapse in the short to medium term because of this myopathy and ignorance to laboratory-level advances that may not be as obvious to the general public. Almost all of the mammals on the planet have evolved to come into the world, survive and compete until reproduction, reproduce, care for our young and then gracefully decline, fully accepting our imminent fate of continuous degradation and certain death. People have evolved to accept their certain decline and demise, and human behaviour and attitude to changes throughout life and events like childbirth or retirement trigger many processes that are very difficult to reverse. People form their longevity expectations primarily based on their family history and country averages, and are not prepared to change their expectations quickly. Laura Carstensen at Stanford has demonstrated that behaviour is linked to longevity expectations (i.e. the longer people expect to live, the younger their behaviour is going to be and you will be making decisions as a younger person). I think that when it comes to psychology, the longer you expect to live, the longer you will live. In summary, I think people should start preparing for significant increases in longevity. At Insilico we are working very hard to make it happen. Please follow our research on Pubmed, Research Gate and in the media, and if you’d like to get involved in the field, we are always open to collaboration.